Home » Connectivity » Internet Explorer only! 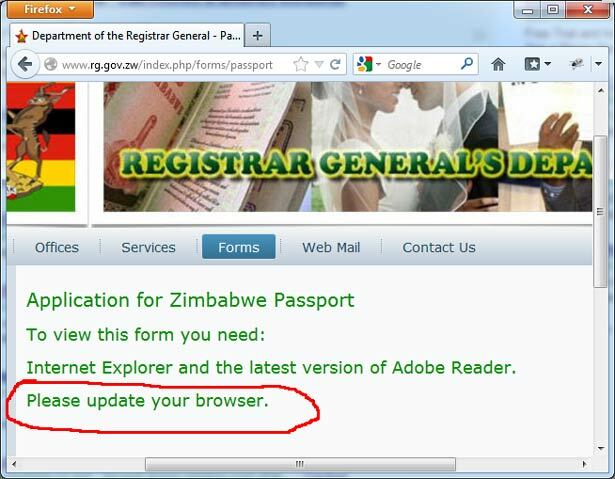 Hahahaha Designing for IE… Only in Zimbabwe! Here we come maZimbo, munotochinja to Intenet Explorer chete. If you have linux, mac or any other OS pliz downgrade to our recognised OSes from Microsoft. We will post you links to the pirated copies…. we know 99.99% of you use pirated copies so don’t act shocked. Honestly this is stupid for a government, i wonder who they consulted! Most likely an old man with a PHD in political science or something! what if i dont use windows as an OS? 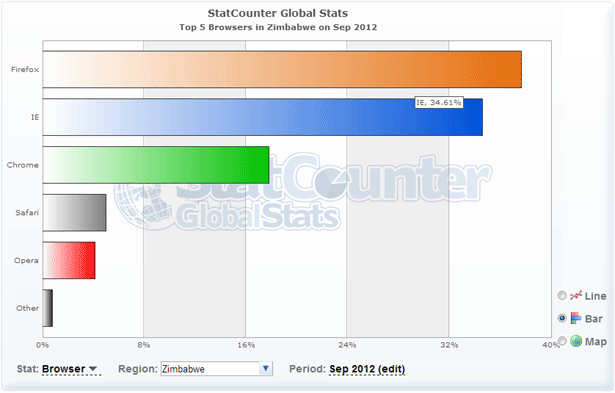 Since the site is almost always down, maybe they should put the file on a file-sharing service. >>I’m trying to download the form but the site is down. does anyone have a downloaded copy they can share?